FADF Miami enjoyed its third trip to Baptist Children’s Hospital. We set up early to make sure the playroom was transformed to a magical space where we could escape for hours and play. We set up multiple stations: a beauty station sponsored by Mary Kay, a coronation station, sash station, and boys’ craft and cape table. We even set up a dedicated area for a mini photo shoot, so the kids could have plenty of pictures of themselves in their crowns and capes. We had 6 volunteers, 3 of which dressed up as Belle, Snow White, and Cinderella. They came in full hair and make up and ready to be in character. Surprisingly, at this event, we had many more boys than girls, and a large number of room visits. We had 4 boys and one girl come through the playroom, but we did about 12 room visits. The princesses took the crafts and crowns to each patient that was unable to attend. We even bought goodies for some siblings to join in the crafts by their siblings’ bedside. We had so many special reactions from the patients and family members. 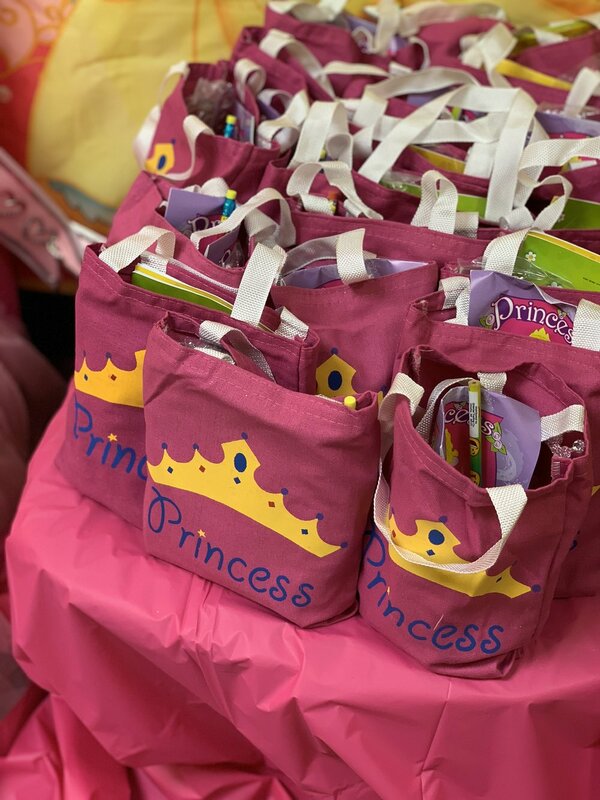 The goodie bags were filled with love and lots of princess and superhero-themed glasses, bracelets, frames, pencils, and coloring books. Each child got a special leave-behind in the form of a crown, mask, cape, or sash. Everyone left with a smile and a little happier than when they came in, and that’s our goal. It was truly a successful event, and we look forward to partnering with Baptist Children’s Hospital again soon. Newer PostFamily Day Wrap-up and Thank You's!